Laurie San Martin is a composer, teacher and an occasional clarinetist and conductor. Her music has been performed throughout the United States, Europe and Asia. She mainly writes concert music for chamber ensemble and orchestra but has also written incidental music for theater, dance and video. Recently she collaborated with Korean gayageum virtuoso, Yi Ji-Young. This experience has opened new creative avenues including an upcoming pansori-based theatrical work for the CrossSound Festival in Alaska and a new work for Korean Daegeum virtuoso Jeong-Seung Kim. San Martin has worked with many accomplished ensembles such as Speculum Musicae, eighth blackbird, SF Chamber Orchestra, the Lydian Quartet, Washington Square Contemporary Chamber Players, EARPLAY and the Left Coast Chamber Ensemble. She has received awards from the League of Composers-ISCM, the International Alliance for Women in Music, the Margaret Blackwell Memorial Prize in Composition, the American Academy of Arts and Letters, and the ASCAP Morton Gould Young Composer’s Awards. As a composition fellow, she has attended the MacDowell Colony, Yaddo, Atlantic Center for the Arts, Norfolk Contemporary Chamber Music Festival and the Composers Conference at Wellesley College. She holds a PhD from Brandeis University in Theory and Composition. 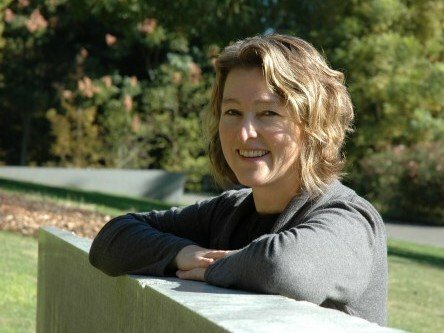 She has taught at Clark University and is currently Associate Professor of music at the University of California, Davis. Her music can be found on the Left Coast Chamber Ensemble’s San Francisco Premieres CD, released in 2005 and a recent Ravello CD Tangos for Piano performed by Amy Briggs. “The phrase is a rough translation of the Latin palindrome in girum imus note et consumimur igni.